Discussions Magazine Music Blog: Who's your DADDY? 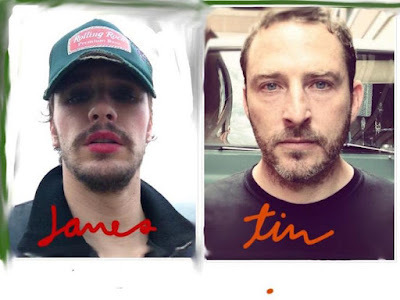 New Video from JAMES FRANCO's musical project! Who's your DADDY? New Video from JAMES FRANCO's musical project! The worst thing about love is that it either lasts forever, or crashes, burns and destroys you from the inside. This new offering from Daddy – the band made up of creative polymath James Franco and multi-instrumentalist Tim O’Keefe – dives head first into the latter, with a color-soaked nightmare that disguises itself as a dream. Featuring a love affair that culminates in suicide, the 6-minute visual dips in and out of the pair’s memories, with the shimmering melody adding a layer of sugar to coat the poisonous events. “Lime Green Dress” is the first taste from Daddy’s upcoming Smiths-inspired album Let Me Get What I Want. An hour-long art film will also be released in conjunction with the release, and this video is the first exclusive taster from that film.